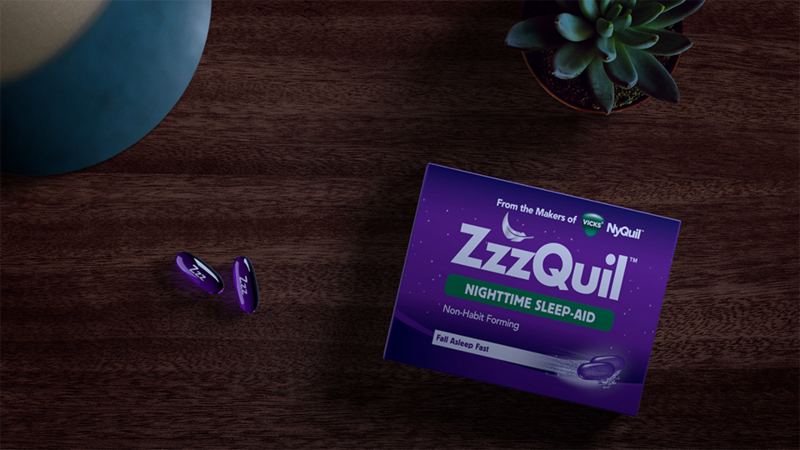 ZzzQuil product replacement and spot changed, had me building a new scene in the beginning and then animating some pills in the spot. Package and product are all 3D. Our flame artist also changed the sleeping girls shirt from white to purple.